I have a confession. I am addicted to Teachers Pay Teachers. Have you heard of it? I thought everyone had, but lately I've found myself explaining it to so many people! 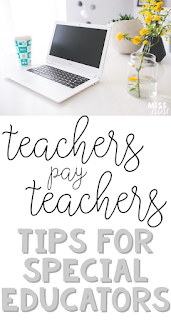 Teachers Pay Teachers is an amazing website, full of products and freebies made by teachers for teachers. It's a wealth of high quality resources at your fingertips and if you're not using it, you need to be! 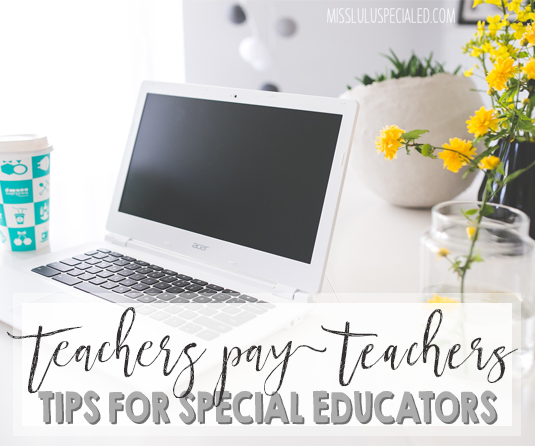 Teachers Pay Teachers is quickly growing and is not only for elementary teachers, but is becoming chalk full of great resources for special educators, SLPs, and secondary teachers. You can check out my store here. Here are some tips for using TpT to find the best products and freebies to use in your classroom. Use the search bar and narrow your search. TpT has just updated their search feature and it's a great way to find exactly what you are looking for. You can narrow your search by keyword, grade, subject, resource type and price. Leave feedback and earn discounts! Did you know that when you purchase a product on TpT and then leave feedback on the product that you can earn credits? Earn 20 TpT credits and get $1 off your next purchase. Please remember, teacher sellers work really hard on these resources. Of course, they want to create things that work for you and they appreciate your feedback. But please be kind. And if you are having technical difficulties or see a typo, please reach out to the seller through the Q&A section before leaving feedback. Most sellers are eager to help! Access your purchases and your free downloads through "My Purchases". Log into your account and access your purchases from any computer or device. You can download your purchases as many times as you need to. And if a seller updates a product that you have purchased or downloaded, you can easily re-download to get the update for free! Download the free preview, if it's available. Many sellers include a preview of their product. To get a closer look before buying, download the preview. And remember, you can zoom in and see it closer! Follow your favorite sellers. This is a great way to see when your favorite sellers post new products and quickly find your favorites when you are looking for a resource. Just click the green "Follow Me" link under the seller's name when you visit their store. 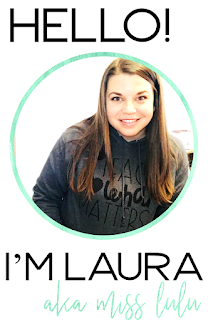 Here are some of my favorite special education TpT sellers! Do you sell on TpT? Are you a buyer? I'd love to check out your favorite stores! Leave a comment with your store name and your favorite stores! Thanks for reading! I also love the teaching resources on TpT! I am also surprised when a teacher has never heard of the site! Just missing out on the freebies alone...I can't think about it! It is nice to see the growing number of special education resources. Yes! I love seeing more and more special education resources. Thanks for reading!